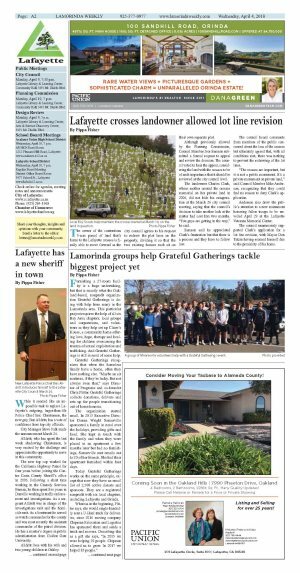 The owner of the contentious 5-acre parcel of land that's home to the Lafayette crosses is finally able to move forward as the city council agrees to his request to redraw the plot lines on the property, dividing it so that the two existing houses each sit on their own separate plot. Although previously allowed by the Planning Commission, Council Member Ivor Samson submitted a formal request to appeal and review the decision. 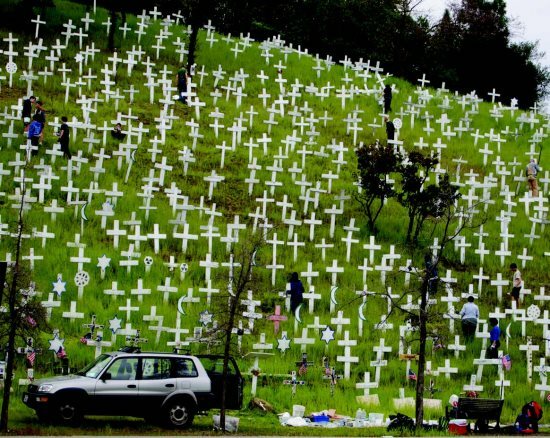 The council voted to hear the appeal, considering the land with the crosses to be of such importance that it should be reviewed at the city council level. The landowner Charles Clark, whose mother created the crosses memorial on her private land in 2006, did not hide his exasperation at the March 26 city council meeting, saying that the council's decision to take another look at the matter had cost him two months. "You guys are getting in the way," he said. Samson said he appreciated Clark's frustration but that there is a process and they have to follow law. The council heard comments from members of the public concerned about the loss of the crosses but ultimately agreed that, with all conditions met, there was nothing to prevent the redrawing of the lot lines. "The crosses are important, but it is not a public monument. It's a private monument on private land," said Council Member Mike Anderson, recognizing that they could find no reason to deny Clark's application. Anderson also drew the public's attention to a new monument honoring fallen troops to be unveiled April 29 at the Lafayette Veterans Memorial Center. The council unanimously supported Clark's application for a lot line revision, with Mayor Don Tatzin having recused himself due to the proximity of his home.